Market demand in the gift industry for handmade goods has risen exponentially in the last few years, and this has had a big impact on the wholesale and retail gift industry. With the rise of online e-commerce sites, consumers have become very aware of the value of owning things that are not mass produced, and can now purchase handmade goods directly from the people who make them. This in turn means that the gift industry is both competing directly with the sellers of handmade items on the retail end, as well as looking to makers of handmade items for new sources of unique gift items on the wholesale end. 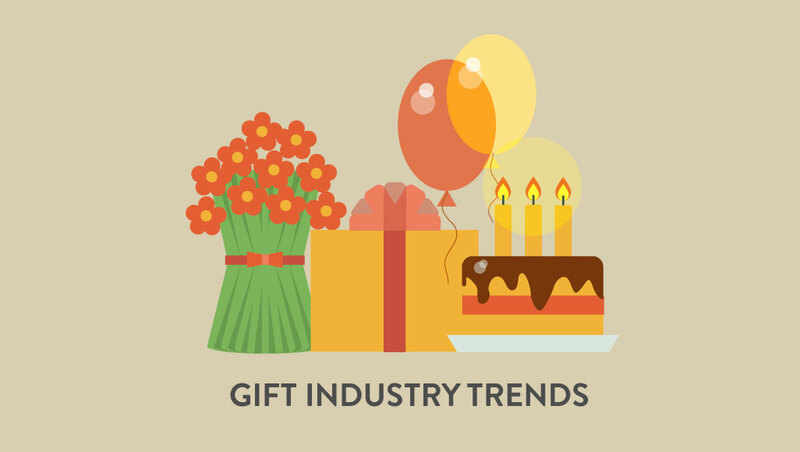 In this article, we will explore some of the drivers behind the trend towards handmade gift items, as well as cover what this trend means for the gift industry. We will also give you some ideas about what you can do to take advantage of the handmade movement. The most important reason behind the rise in popularity in handmade goods is simply access. Not so long ago, consumers were basically forced to buy what was available at stores in their area. Most people did not have access to unique handmade gift items unless they lived in or traveled to the areas where the goods were made and bought them directly from the makers. Now, with e-commerce sites that connect consumers directly to the artisans and craftspeople that make handmade items, lifestyle blogs that promote designers and artisans, as well as the ability to ship nearly anywhere by air, ground or sea transportation relatively quickly and cheaply, consumers can learn about and access fine, handmade gifts much more easily. Social media and the Internet also make it easier for makers themselves to directly access their target markets. Another reason behind the trend is the desire for a human connection. People like to know that the products they bought were made by a real person––that the products they’re spending money on have a sense of authenticity attached to them. Many companies have sprung up to meet this inherent human desire, directly connecting makers with consumers. Today, even mass-market retailers and wholesalers often incorporate storytelling about product origins into their marketing, allowing consumers to learn more about the people and communities that make the products. Handmade items are often perceived to be higher quality than mass-produced items. Whether or not this is true, marketers often play on this perception when marketing these goods to consumers, reinforcing established beliefs about the value of handmade goods. In addition, when it comes to gift giving, consumers enjoy being able to give items that are unique, special and memorable. Handmade gift items are believed to be special, something that only a fortunate few people will ever own. There are several factors that play into this aspect of the trend towards handmade goods – environmental concerns, along with the ability to make a difference in the lives of makers by providing them opportunities to be paid for meaningful work, is very attractive to consumers. They enjoy the idea of being able to make a difference in other people’s lives simply by purchasing items they likely would have bought anyway. When they are able to do this while also addressing environmental concerns such as the desire to reduce the consumer’s overall carbon footprint, then purchasing handmade goods is a very attractive option. Handmade goods created by human beings outside of a factory environment seem more environmentally conscious to many consumers, and in many cases may be. Make Connections Real: When it comes to selling handmade gift items, the makers’ stories are as important as the products themselves. Gift brands should be telling those stories and helping consumers understand the value of purchasing these products. If the products are made using green processes, or if selling the items is making a difference in the lives of the makers and their families and community, make sure buyers understand who is behind these handmade gift items. Focus on the Unique: Look very carefully at where and how these items are made. If the products are made according to a unique process only performed in certain places, make sure this is part of your marketing. Keep Prices Realistic: While consumers may be willing to pay a little more for unique, handmade items, pricing is still an important factor. Gift industry wholesalers need to keep this in mind as they source items. Gift retailers need to be aware of this also. If your gift business is not currently involved in the handmade movement, you can still take advantage of the opportunities this movement offers to the gift industry. A great place to start would be to attend a few trade shows (like NY NOW Handmade) to familiarize yourself with the handmade trend, and the kinds of products and sources that are available. Are you able to source similar kinds of products? Also, look more closely at your current sources. There may be more of a story there than you think. You may not be able to focus on the handmade aspect, but what about green processes or the impact the jobs provided by the factory have on your supplier’s community? Continue to develop those relationships and see if there are aspects to the story that might hit on some of the drivers behind the trend. How are you planning to incorporate the handmade movement into your gift industry business? Tell us in the comments!